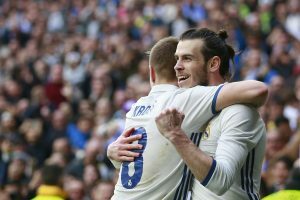 Real Madrid have surprisingly dropped points from their trip to the Estadio Municipal de Butarque where they could only manage a 1-1 draw. The home side took the lead courtesy of a goal from Jonathan Silva just before the half-time break. Zidane’s side bounced back shortly after the restart of play with some sublime bit of footwork by Luka Modric which was brilliantly finished off by Karim Benzema. The Whites dominated the entire game in terms of possession and chances created but failed to create any daylight between the two sides in terms of the scoreline. The Real Madrid gaffer would undoubtedly be disappointed by the performance his side put in given the fact that a nearly full strength line-up was selected for this encounter against mid-table Leganes. Here’s how Real Madrid players fared in their draw against Leganes. A fairly average night for the Costa Rican goalie who would have been gunning for a clean-sheet. A good return from injury for Carvajal who put in a dedicated and committed performance. Varane was right on top of his game. Constantly kept the Leganes attacks at bay with good defensive positioning. The utility defender put in a satisfactory performance for Zidane in the absence of Sergio Ramos. A captain’s performance from Marcelo who seemed to be in the groove today. Modric was simply amazing on the night. His turn for the first goal which took out two defenders was phenomenal. The Croatian would be gutted that he could not push his side across the line. “The Tank” put in a solid performance as always. Casemiro seemed really animated on the night and was seen in a few exchanges of words with the referee. 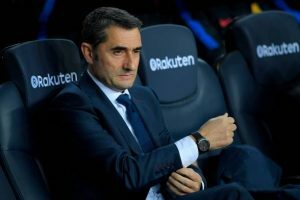 Valverde made the most of the opportunity presented to him by Zidane. He was a bright spark right throughout the game. The midfielder picked up a yellow card for a poorly timed tackle. Asensio looked lively on the ball and was a constant threat to the Leganes defence. The lanky striker seems to be getting better with age. He was once again the source of inspiration for this dilapidated Real Madrid side. A charismatic performance from Isco who has become the star of the side since his return from his long injury lay-off. Did not have much involvement post coming on for Isco. Did not have any impact on the game post coming on for Marco Asensio. Manchester United Lining Up Summer Move For 23 Y/O Spanish Ace: Just The Man Mourinho Needs? 24 Y/O La Liga Defender Confirms Interest From Manchester United: Good Choice For Mourinho? Manchester United Cool Their Interest In 26 Y/O French Talisman: Good Decision By Mourinho? Real Madrid Plotting Surprise Move For Tottenham Hotspur Star: Where can He Fit Into Zidane’s Side?